The Oculus Rift is pioneering the VR future of gaming, but we still have no idea when the retail version is going to reach shelves. I hoped that the Oculus Connect event that took place this weekend would have the answer to that. Oculus VR did announce a new version of the Rift at the conference, but it’s still not the one customers should be looking for. It is, however, a massive step forward. 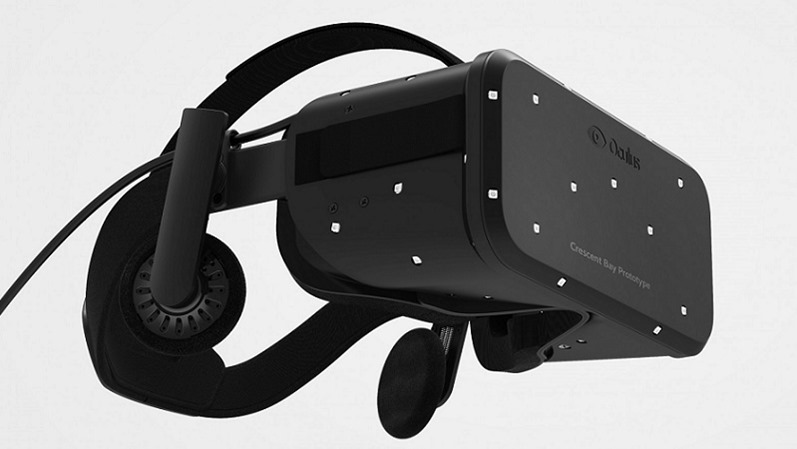 I had the chance to try the new DK2 Rift two weeks ago and still found many issues with it. The positional tracking was limited, I still had to wear other cabled headphones for sound and the thing was immensely heavy. It’s almost like Oculus read my mind though, because these are these features they’ve tackled in their third prototype, Crescent Bay. I now understand why Oculus keeps telling consumers not to by these prototypes just yet. Crescent Bay is a massive leap forward from the DK2. The new Rift now offers 360-degree head tracking, as well as more robust positional tracking using the camera system in the DK2. Crescent Bay is also much lighter and – taking queues from Sony’s Morpheus – includes its own audio solution. That’s at least one less cable to get wrapped in if you choose to use the Rift standing up. Some early impressions of Crescent Bay indicate that the Rift is now achieving levels of immersion that the previous two prototypes couldn’t reach. After using the DK2 (and getting extremely sick again) I’m excited to give this a go. Oculus is edging closer and closer to retail with these new features, but I still feel like there’s something major still to come. Although, I’m hoping the retail Rift does come sometime next year. Previous article Hey! Want to win an Xbox One?